You are the writer of your own life story; is what i can best describe about this book. This book tells a story about a real life experience and struggling of a man with no money but yet having a mountain of dreams and dignity in ensuring his survival as well as others. The emotional and physical struggling in life narrated by writer has shown that a less fortunate person can beat the odd and taste the sweet nectar of success through hard work and determination. Regardless of the obstacles and constraints in the middle of a journey to success, always be bold and confident to strive through until the end. We used to hear that people may change with fame and wealth. The writer’s ideology and perspective about certain issues may differ and evolve with time but yet his fundamental remain unchanged. His unique method of interpreting Haj had genuinely touched my heart as to keep remember that the suffering and hunger of Muslim brothers is most vital to be considered compared to our individual Ibadah. Life is short. Choose your way of life wisely, because every choice made will dictate your end either good or bad. This book deserves to be read and inspired by all as a means to success! This is one of Hakim’s favourite books. He loves to read it again and again since he was 4 years old. I think the right words (for him at 4 years old) is not ‘read’ but ‘analyse it’ and try to understand most of his favourite insect; bugs, butterfly and spiders! Its small, light, and handy just suit in his small palm and it’s also come with colourful pictures. 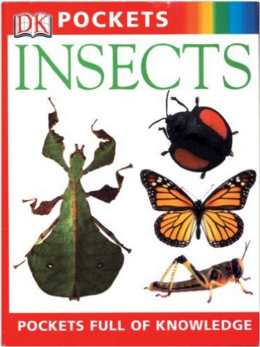 Apart from its ‘cute’ size, the most interesting about this book is on the experiment that so easy for the children at his age to understand. Believe it or not, at age of 5, Hakim successfully raise up 0.5 cm caterpillars (about 1 day old) until it’s fully transform to the beautiful butterflies. It is not only 1 but almost 10 caterpillars at 1 time. I still remember when we’re visiting Melaka Butterfly Park (which is only 2km from our house), he manage to explain in details to the trainee (from one of the well-known university) on the life cycle of the butterfly. He feeds the caterpillars with the leaf collected from the same tree he found the eggs and he also runs another experiment to them. At the end of the day, he (we actually) learned that, those caterpillar will not eat leafs from other tree. It is all stated in the small books. It is amazing to learn that the pocket size encyclopaedia could inspire a small boy to do BIG thing. Frankly I’m 34 (at that time) but it was the first time for me to see this real transformation, compared to Hakim who experienced it at the age of 5. Readers, if you have children, it is worth it! ​I have always felt inspire to talk about a great world public figure like Nelson Mandela. Being able to read this book has truly helped me to know better this well-known president of South Africa. 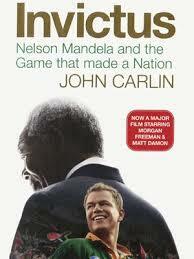 Invictus tells a story about the fighting of Mr.Mandela to gain his political power and people’s trust through sport, one year after he was democratically elected as president. The objective is clear; to reconcile blacks and whites and create the conditions for a lasting peace in the country. The idea of political power through sport was formed when he was still in prison for 27 years. With the courageous and endless effort, he applied his idea in one of the memorable event in history; 1995 Rugby World Cup Championship. Leading South Africa through examples and kindness, he finally managed to unite their rugby national team, Springbok and indirectly drove them to the 1995 historical victory which still being cherished and remembered by the South Africans until today. This is true as what people always said; Sports are uniting people in spite of your colors and races. 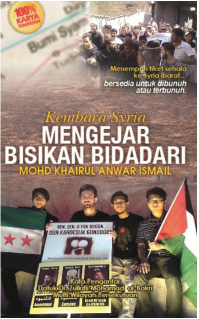 My second read book for this year is "Kembara Syria: Mengejar Bisikan Bidadari'. I bought this book from annual international book fair recently with a little discount from original price. This book tells a story about a life experience by a humanitarian activist in a war zone. Aside to their duty to help and convey support to the civilians and refugees, activists are exposed to danger of being shot and bomb which they considered as the biggest challenge that need to be overcome. The sufferings and tears of victims are unbearable for those who called themselves human being. But yet, the world is still not enough for a leader of a country other than to kill his own people. A very interesting book for those who interested to have an overview of what is currently happening in Syria. People said; “don’t judge the books by its cover” however that what I’ve done when I need to decide on what will be the 2nd books from the same writer. You might ask why? 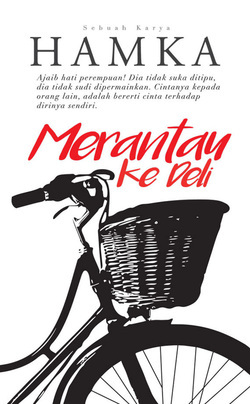 Because of the graphic on its cover; a grandfather black bicycle with a rattan basket; for me it is like a symbols of simplicity. And that is what I really wanted that day; something easy, light and not too complicated. Therefore, my choice is “Travelling to Deli”. Yes it started with something easy, a night market scenario at Deli, where it mentioned about the farm labourers (kuli) and the sellers behaviours during their ‘pay day’. Amongst the seller, there is a young man travelling from Minang; Leman. Meanwhile amongst the farm labourers, there is young widow name Poniem who is also a mistress to the chief foreman at the estate where all the ‘kuli’ works. Poneim is from Ponorogo, Sumatera. She is still young; she had married twice; and now she is a mistress. Bad experience had forced her to avoid any serious relation. To her, marriage is like a curse! So when Leman asked her hand for marriage she refused but deep down her heart she cannot deny the request for the legal marriage from Leman as it also means avoiding her wrong doing, avoiding her sins and bring back her dignity and for all to the right path of a real Muslim. Be a wife is a noble. On the other hand, by agreed to Leman’s proposal, she has to leave her wealthy life with the foreman. Is she ready, will she regret? One day, they got married and run away to the new life in the Medan. The best parts are, she runs with foreman’s gold in hand! The marriage of 2 different culture isn’t as easy as Leman thought. As a man who growth in Minang’s culture, he believed that man hold the burden in the marriage live. As for Poniem, marriage is about give and take, sharing and compromising each other. The burden shall be shared. Therefore, when she knows that Leman’s business is in deep trouble (due to the lack of capital) she knew it is a time for scarify. Therefore she allowed Leman to sell all her jewels (foreman’s gives) as an investment for Leman to start a new business. Luck is at their side, their business growth especially when they hiring a young Javanese young man (Suyono) as their assistance. Suyono is hardworking, smart and intelligence. At Deli, the business growth! Frankly, I only have a very limited knowledge about Minang’s culture and I start to learn more about it when I read this books. A part of this story is about the meaning of true love and loyalty from the perspective of woman. Yet another part of the stories (I personally feel) is a criticism towards Minang’s culture. Although the whole families accepted Poniem as a Leman’s wife, although they admits that Poniem is kind, honest, elegant; a symbols of the perfect wife that not easy to be challenged amongst themselves; still to them, Poneim is still an outsiders. And so, they strongly insists Leman to marry ‘orang kita’; someone from Minagkabau! My 1st thought was wronged; this is neither an easy nor a light book. It is full of emotion, full of feels. It touches a wider scope of the real life, culture, marriage, family, pride of a man, status in the society, polygamy and much more. Honestly for me all of this feels blends so well by the writers. After all I have to admit, the front cover of the book misleads my first judgement. I still remember the feeling of anger rose in my heart towards Poneam and Suyono even when I only have about 3-4 pages left. Seriously it is not because they did something wrong to Leman but because for me they’re too kind as they still treat Leman kindly after what he had done to them but then I remember the proverb that always mentioned by my Dutch friend Henk:- “revenge is the dish best served cold”. I believed that this is the best to describe the last chapter of this book. Leman is expecting the punishment; yet he received the endless forgiveness. Forgiveness without punishment from the man/woman that we’ve betrayed is just like a dagger stabbed on our owned heart. For me this book is ‘awesome’. If I could describe this books as a main dishes that it will be like a ‘masak lemak cili apa’, (jalapeno in rich coconut gravy), it creamy, it looks nicer than a red chilli paste, but come to the taste, wwwoooooo. If you are interested to have this book, please browse through PTS bookstore for purchasing. Let me start with the first book that I’ve just bought last week from the on line PTS books store. Inspired to explore the meaning of love from a writer who also known as an Indonesia Ulama, Buya Hamka or his real nama is Prof Dr. Haji Abdul Malik Karim Amrullah (1908 – 1981); I’ve bought 3 off his books from PTS combo deals. For the 1st time ever, I’ll start with novel “Di Bawah Lindungan Ka’bah” – “Under The Protection of Ka’bah”. A story with 14 chapters (including glossaries) and 87 pages; it takes less than 2 hours to read and complete the whole story, however to ease your understanding, you might need to have a basic understanding of the culture of the Asia people especially Minang’s back in year 1927. If not, don’t worry it is not a MUST, keep read it and the books will start to tell you about the people, the culture; traditions, the true scenario like it did to me. Frankly, I was scared in the beginning that I might be facing the difficulty to understand the whole story as it was written long before my mother was born. It started with the letter from a friend who is telling about his experience while performing haj in 1927 where at that time there is no agency to organize those people who performing haj for Indonesian’s Jemaah. While he is staying at one of the Syekh House he start to know a young man name Hamid who came from Indonesia as well and they become a good friend. One day, the last group of Jemaah from Indonesia came and one of them is Saleh who then staying at the same house for a very short time (as he is on his way to Egypt for further study). Once Hamid meet up with Saleh in one day, the whole situation changed. Hamid start to stay away from the group, he become so passive, spending more time at the Ka’bah than talking to other people. Eager to know what had happened to Hamid, the writer start to ask and the story began…. Hamid; an orphan boy who was raised by his mother after his father dead. To survive, he needs to work at the age of 4 by selling ‘kueh’ (traditional cake) from house to house until one day a rich family of Ungku Haji Ja’far with his wife Asiah and their daughter Zinab move to that place. They are rich, but they are also warm hearted people. Ungku had adopted Hamid as his owned son. Hamid and Zainab being rise together and was send to the same school. As they spend their childhood time together, their relation becomes so close. As a time goes by, Zainab grows as a young maiden surrounded by the traditional culture, she finished her primary school and had not continue. For the sake of her benefit, Ungku had make a special arrange for a teacher (to teach Quran, religion, cooking, sewing and other housewife knowledge) to come to their house. Therefore, Zainab is spending more time at her house than to be seen at the public area. Hamid in the other hand had been send by Ungku Ja’far to Padang Panjang to further study on the Islamic religion. The conflict begins with the dead of Ungku Ja’far followed by Hamid mother a few months later. Before his mother pass away, she remind Hamid his position in the society as they are poor. From the experience she knew that the poor young man like her son – Hamid doesn’t deserve to marry a wealthy maiden especially with the dead of Ungku Jaafar, for sure that the family of Ungku Ja’far will take full in charge of all the family. Therefore her last words to Hamid, stay away from falling in love with Zainab. One day Ungku Ja’far wife Asiah invited Hamid to her house asking for some help. She knew that there is no other person that Zainab will be listening to other than Hamid who is so close with her since they were young. Not knowing that both Hamid and Zainab have a feeling towards each other, Asiah requested Hamid to pursue Zainab to marry Ungku Ja’far’s nephew. This is the request from Ungku Ja’far ffamily to ensure all the wealth of Ungku Ja’far remains with them. He did, but it hurt his owned heart. There is no rope for me to hold other than Yours. There is no door for me to knock other than Yours. Oh Allah please gives me strength to face Your fate. To Allah he surrendered his life. Under The Protection of Ka’bah, I’ve categories it as a “Must read book”! I started this year by reading this motivational book written by one of the famous authors. It is so inspiring that it only took me less than one week to finish off. This book touches on many different sub-topics which most likely facing by us in daily life. 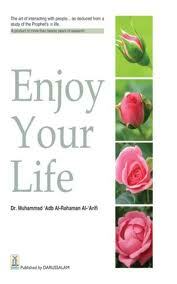 Like any other motivational books, it emphasized on the importance of being positive in all aspects of life. Regardless of the difficulties and obstacle in front you, just enjoy your life and always be bold and confident to strive through till the end. However, what makes it differ from others is the way the author presented and elaborates each point using simple and relevant stories that we would have come across every day. The stories are so real and genuine that it may touch your hearts and wake you up from a deep sleep! Written in a simple language and understandable, I would say this is a must read book for all to keep us motivated and doing better in this life.